A real life look at life as a Designer with, well...a real life! no.....ALOT of excitement and joy! Have you heard about it yet? Because frankly....who isn't happy with loads of ice cream?! Spring, Summer, Autumn & Winter. Lemon, Strawberry, Watermelon & Coconut. There are cookies, sandwiches, pink cinnamon rolls & fudge! There's simply too much to list! you can rest assured this book is worth every penny. Koralee and I have gotten to know eachother via the internet for the past few years. 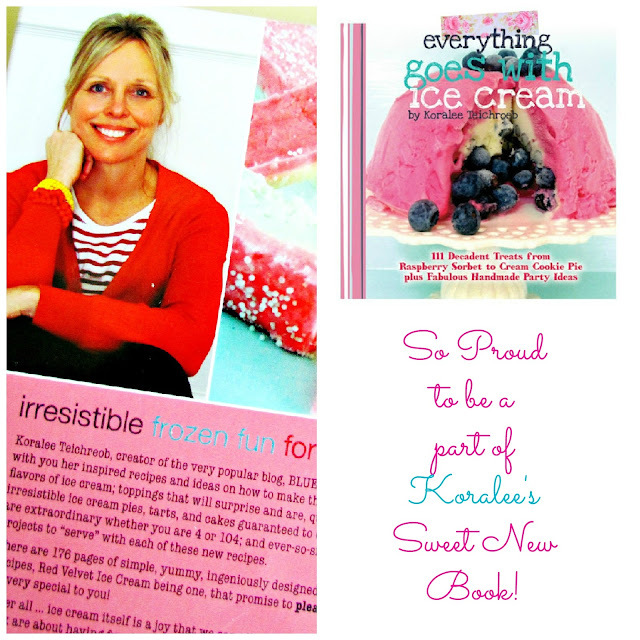 My sister La Von was the one who got me hooked on Koralee's blog. 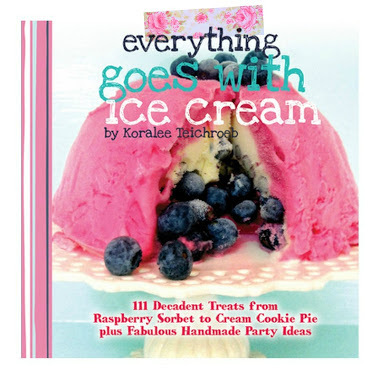 "I can't believe you don't follow Koralee's blog! She is SO YOU!" somehow Koralee & I connected and hit it off almost immediately. we have still yet to meet in person! our busy lives have yet to collide. Facebook, Instagram, Twitter & Blogging. we are enjoying eachother's company virtually. Someday we'll get it together right Koralee? 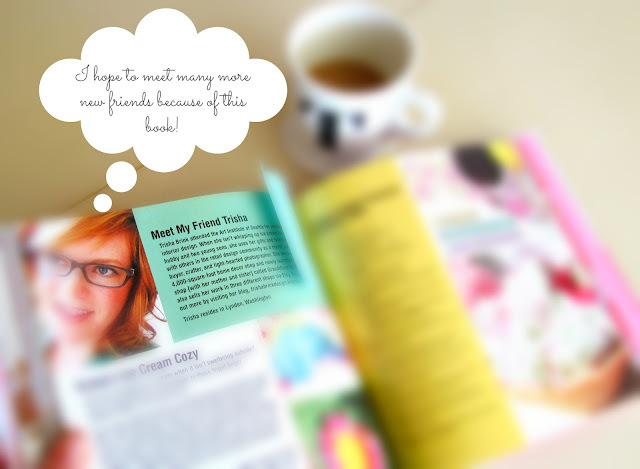 There are so many other new friends to find in this book. 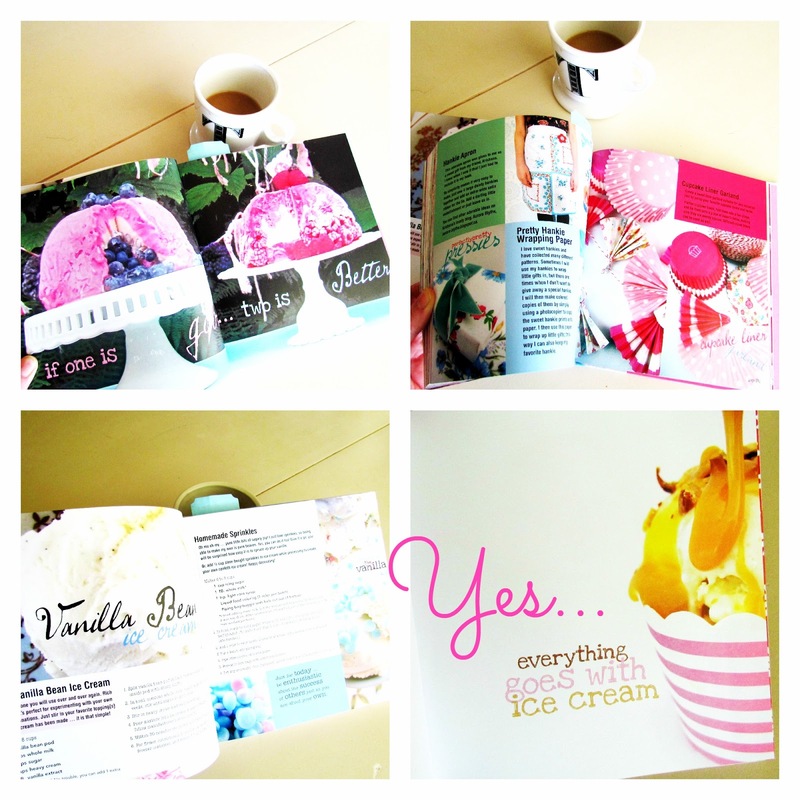 Each friend is featured just like me with a recipe & a fun crafty idea. some of whom you may already know! I'm floating on a cloud right about now as this is my first real book feature. in the joy of your sweet book. You are a true friend & I appreciate all you do. Thanks for sharing in my joy everyone! of blogging, print & design. What a pretty book! 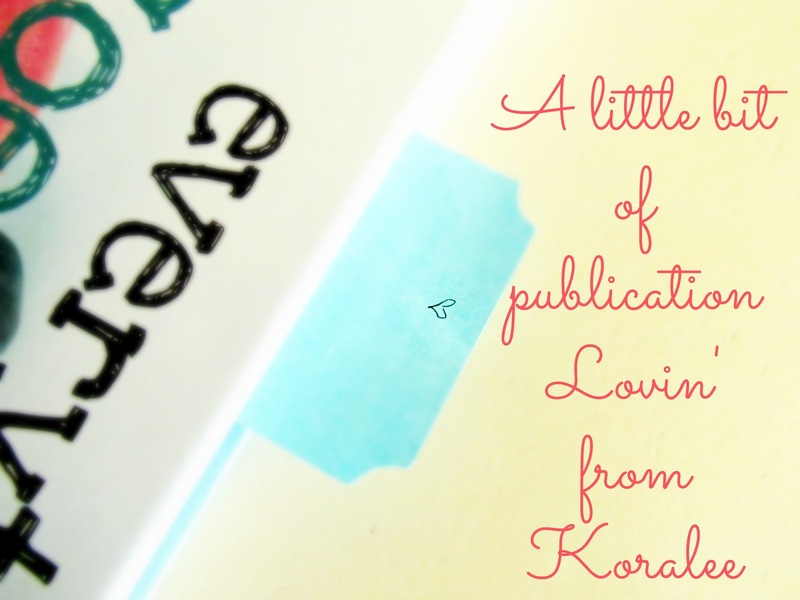 I'm going straight to Kora Lee's blog...I don't think I've ever been there. I love that photo on the cover. So beautiful! Congratulations! 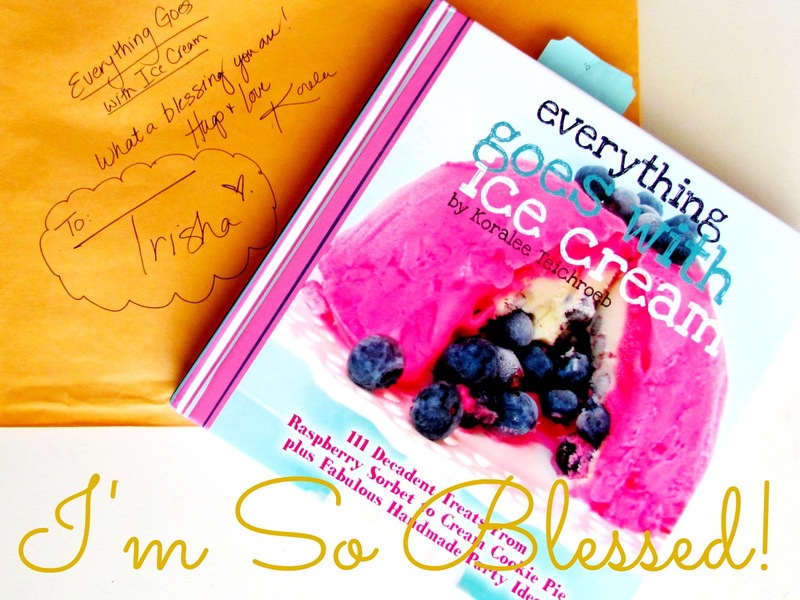 Dearest sweet Trisha, congrats on the feature in such a beautiful book!! I am such a huge fan of Koralee and i love her to bits! So glad i found you from her. I can't wait to get my hands on the book and read all about it. The photos looks amazing and everything looks really yummieee! I too can't wait to try out all the receipts and crafts!! Have a beautiful day and love to you! Was so happy to see your reciepe in Koralee's book..she is just the best and I agree with your sister, you have similar tastes! Hopefully we will meet one day when we come back home to BC via our way! I have been following Koralee's blog for a long time and I love her style so much. She is smart and very talented. I will order this pretty book as soon as..
How nice you've stopped by! Please make yourself comfortable amongst these little snippets. I am currently not blogging at this time...but feel free to peruse my past posts.